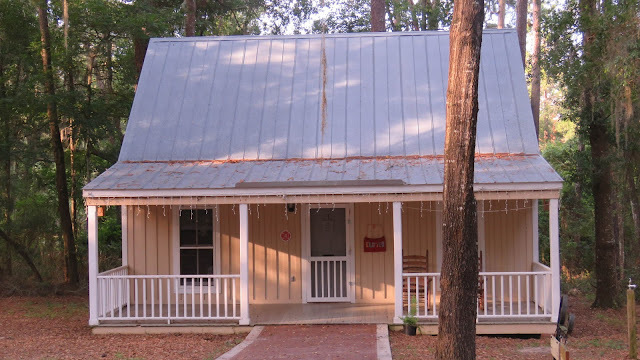 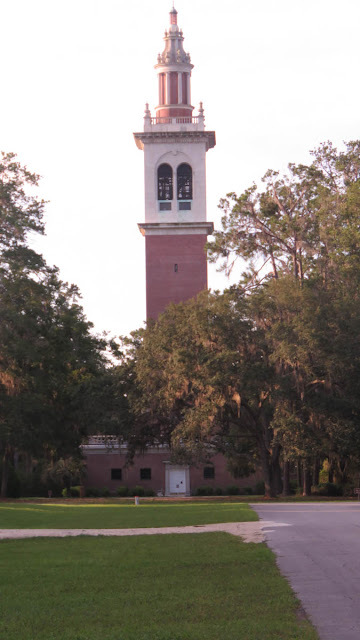 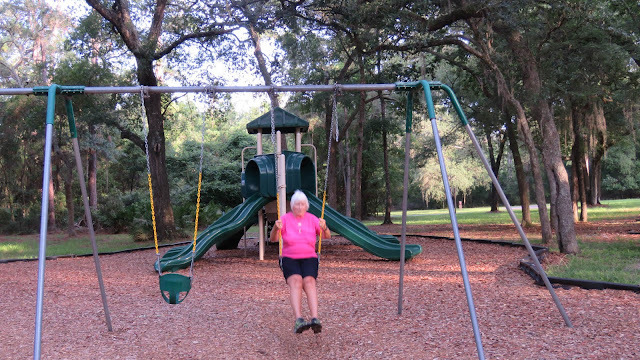 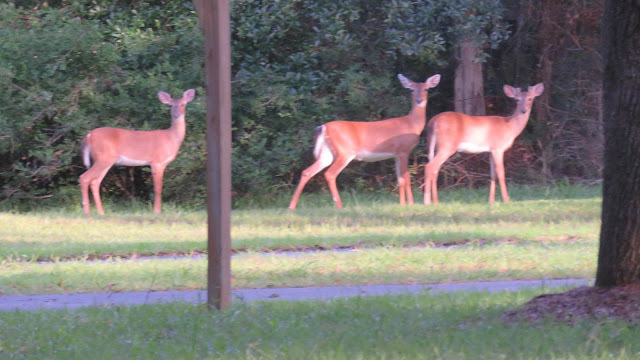 Stephen Foster is a lovely state park located just off I-75 in White Springs, FL north of I-10. The area is full of history from the museum that chronicles the life and times of Stephen Foster to a stately clarion bell tower that dominates the landscape. 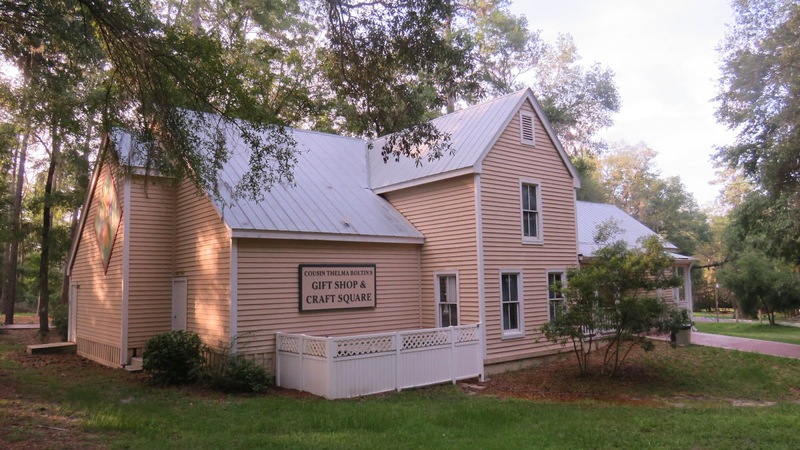 On special weekends the park has arts and crafts festivals on the grounds. 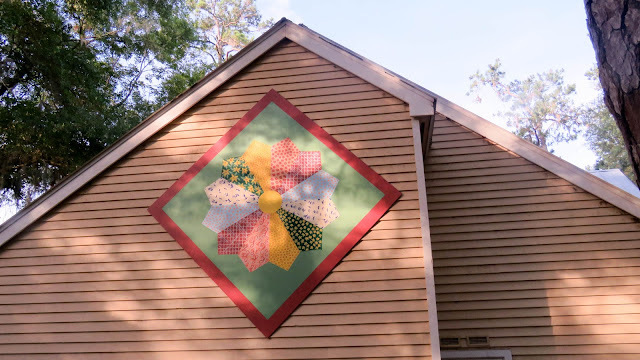 This is especially charming considering that the several homes in the festival area that are designed to replicate the time when Stephen Foster was alive. The charming gift shop sells interesting items that fit the theme of this park. 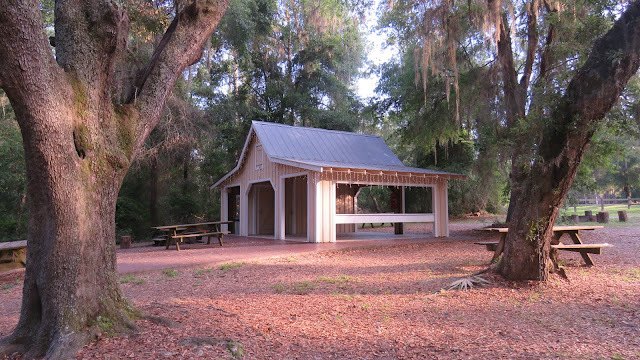 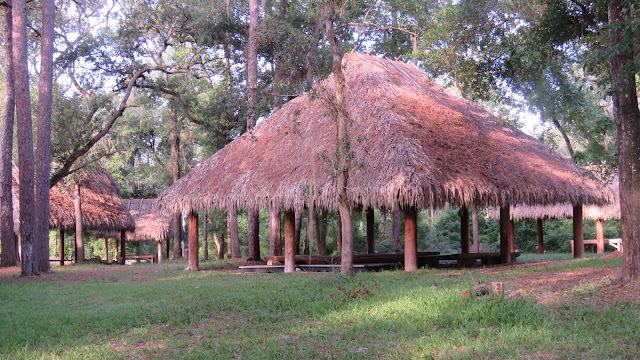 The park has cabins for rent for those who do not have trailers. The campsites are widely spaced with clean restrooms, a modern utility sink and laundry facilities. 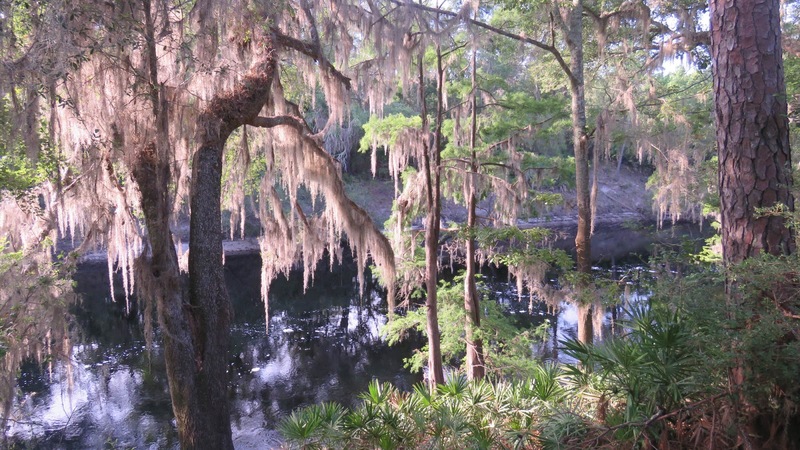 The Suwannee River flows through the park with trails that parallel its banks. 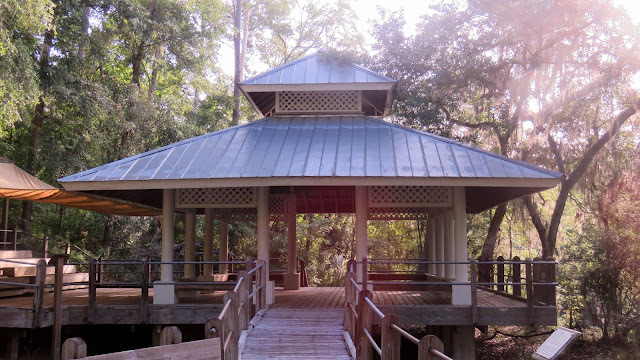 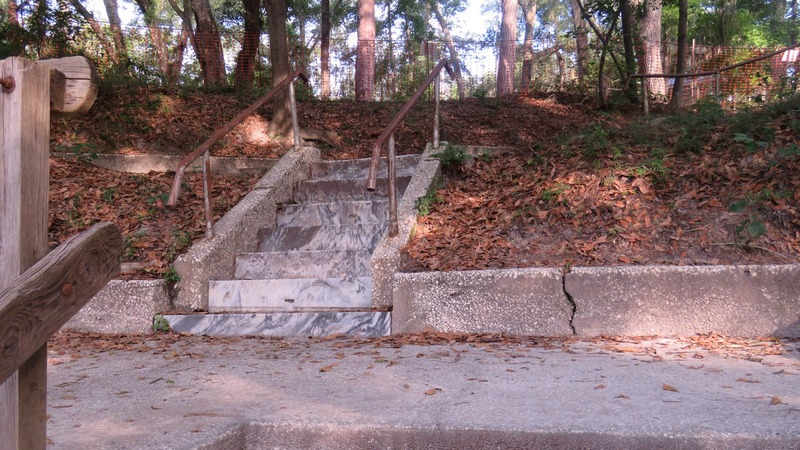 The park also has a large gazebo with marble steps that hikers can descend to the river for beautiful views. 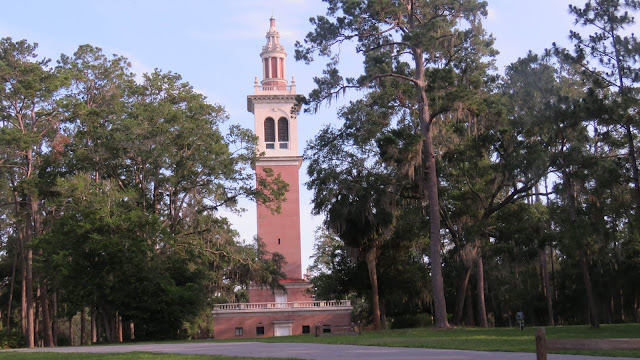 We love to stop at Stephen Foster when we are in the area as it such a special place with so much interesting history that draws you back.